At America’s Alcohol Certified Education Association, we provide alcohol server classes for servers and bartenders to get their Class 12 permit in Washington. We are also committed to providing information that promotes responsible alcohol service. There are many folk cures that are supposed to help cure hangovers, and often these "cures" are designed to help replenish the vitamins and liquid you lost over night. Try all the cures you'd like - exercise, greasy food, juice - there really is no true cure for a hangover, but there are things drinkers can do to avoid having a hangover, and things drinkers can do to make themselves feel better afterwords. Get hydrated: Before drinking, hydrate with both clear water and sports drinks that contain sugar and important minerals and salts. Don't drink on an empty stomach: Before drinking, eat fat-containing foods and foods with high carbohydrate content. These ingredients slow absorption of alcohol in the stomach. Avoid sugars: Sugar increases the speed of alcohol absorption. Drink slowly: Sip the drink, and try to minimize the amount of total intake. For those who get headaches right after drinking: Drink "headache-safe" beverages, such as white wine and light or clear-colored liquors. Have an Ibuprofen: To prevent the effects of the hangover, you may be able to take anti-inflammation agents before drinking. If soon-after or hangover headaches occur: Take an anti-inflammatory agent like Ibuprofen (you must wait several hours if you took one in advance of drinking) or an anti-migraine agent if you have them available. Rehydrate: Drink water and sports drinks after your night out on the town. Avoid narcotic-containing painkillers or any ingredient containing acetaminophen (aka Tylenol). Alcohol can make those drugs deadly, and acetaminophen-containing products may cause serious liver damage when mixed with alcohol, which can sometimes be fatal. Get a little exercise: A low-impact, or easy exercise may help boost your mood by releasing endorphins that are being suppressed by your hangover. A little light exercise can help alleviate that. Just make sure you're continuing to hydrate, since exercise and dehydration can cause serious problems. While there's no one cure for a hangover besides rehydration, time and rest, the above tips may make your hangover hurt less. 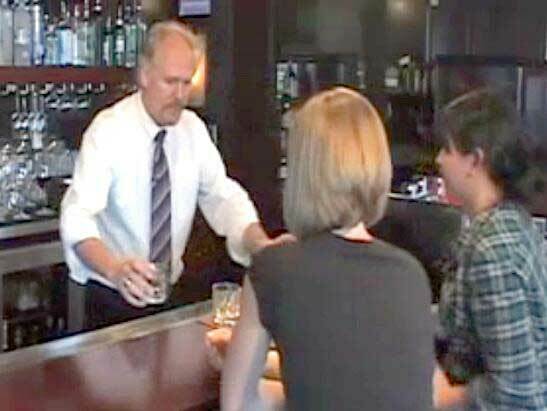 Another tip is to ask your bartender for a glass of water when you order an alcoholic beverage and space each drink out with a glass of water in between. To get your Mandatory Alcohol Server Training certification from the comfort of your own home, or to find out more about our bartending school in Washington, visit www.aacea.com.